Cut response times and increase safety with frequency hopping technology. This feature allows for safer single user operation and increased productivity. 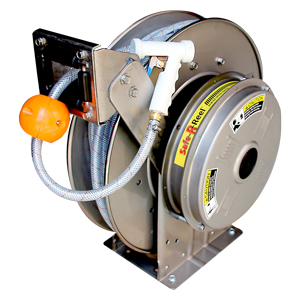 As single operator reels systems and longer hose lengths become the norm, outdated practices of manual hose winding or ‘return to reel base’ button pushing to begin the rewind process, have become too time-consuming. In emergency situations where time can save lives, more efficient rewind methods are critical. 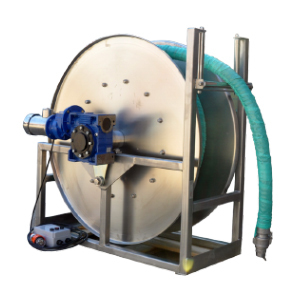 The NEW Reel Tech™ ‘remote rewind control system’ is designed with safety ergonomics in mind; suitable for a single-person operation with patented hose layer system Flat-Winder™ to ensure reliable and consistent rewind of any reel. Hose payout can cause RSI (Repetitive Stress Injury) – injury/strain from pull resistance. 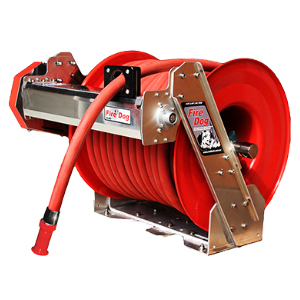 Both government and private industries are quantifying the pull force required to payout hose reel safety. 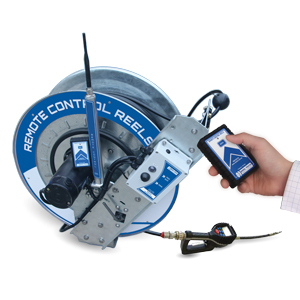 Reel Tech™ has safer designs to meet all critical compliance requirements from remote rewind technique to safe rewind speeds. It has now become an industrial safety protocol in Mining, fire rescue, refuelling, cleaning industries to reduce the risk of operator fatigue or injury from the poorly constructed or under-specified reel. This includes operator safety issues with moving parts, dangerous chains drive and pinch points. Remote Control: Single channel control 915mhz with adaptive frequency hopping prevents interference for reliable performance across undulating terrain. Rubber-sheathed for protection supplied fitted with 9V battery. 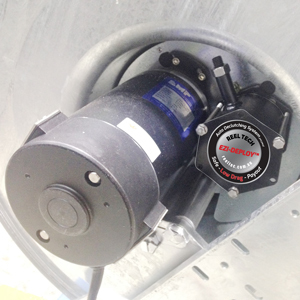 Reel Mounted Controls: On/Off power switch and Manual override rewind switch. Avoids interference with frequency hopping, also suitable for alongside other remote reels. Safely keeps hose and spray gun tightly on the reel in transit.